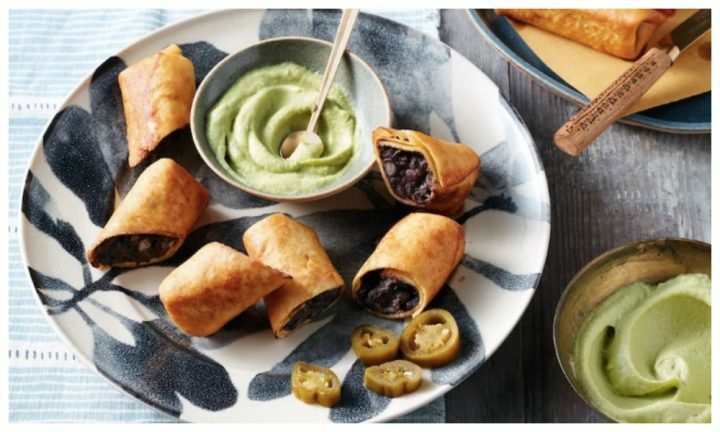 #meatfreemondays: Try this delicious vegetarian recipe tonight. Looking for something quick and easy to make tonight? 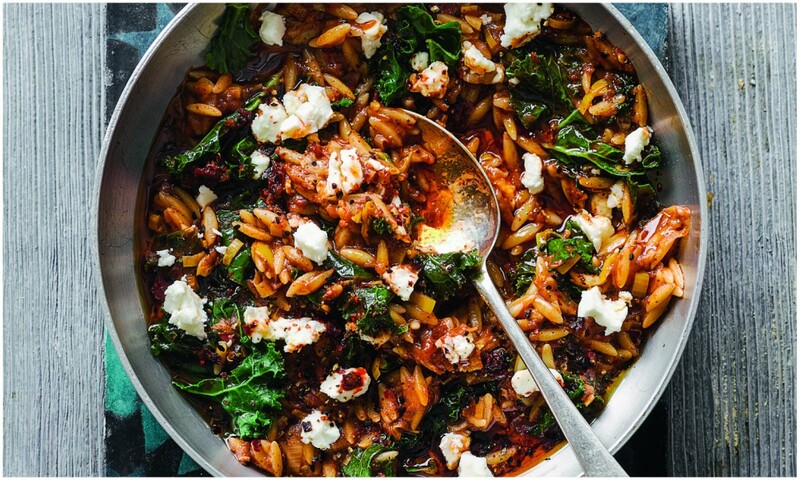 It doesn’t get much easier than this orzo, kale and sumac dish – it’s loaded with flavour and is so simple to make, you could do it with your eyes closed. 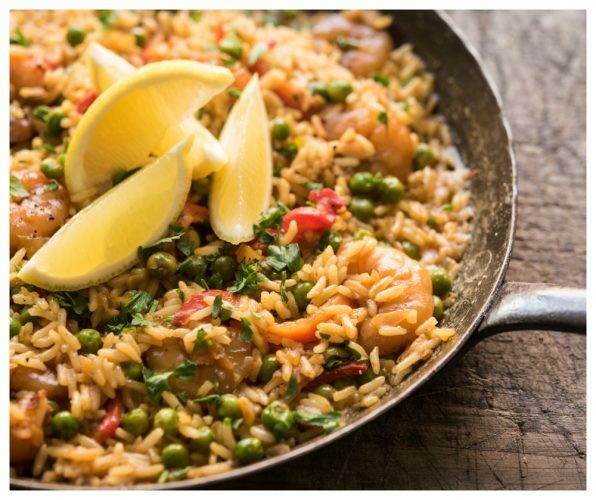 Heat the olive oil in a large, deep skillet or frying pan over medium heat. Add the leeks and a pinch of salt and cook, stirring frequently, for 10 minutes until the leeks are soft and beginning to take on some color. Add the garlic, tomatoes (keep the can), harissa, sumac, nigella seeds, and cinnamon, stir to combine and cook for 5 minutes, until the sauce has thickened and reduced. Stir in the orzo, then fill the tomato can with water twice, adding both to the pan. Return to a simmer and cook for 10 minutes, until most of the water has been absorbed, but the orzo is still very al dente. Stir through the kale and cook for a further 3–4 minutes, until the kale is wilted and the orzo is cooked through. Check the seasoning, and serve generously drizzled with olive oil and with the feta cheese crumbled over the top. 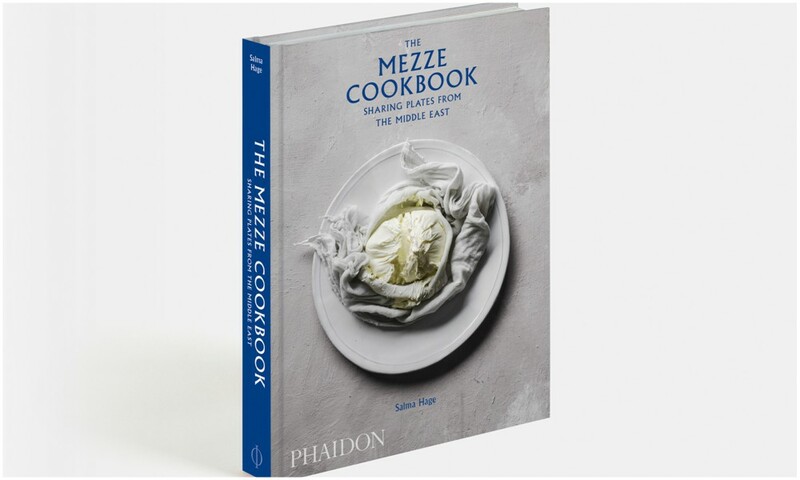 The Mezze Cookbook by Salma Hage, is published and available to buy on Phaidon, £24.95. Image credit: Liz and Max Haarala Hamilton.